It seems like almost anywhere you go in Las Vegas, there is some amazing event or scene waiting to be immortalized on film. From huge public events like championship boxing matches and unforgettable concerts to personal celebrations like weddings and family reunions, Las Vegas is the number one place in America to make memories. And for nearly half a century, Cashman Photo has been there to ensure that these memories are forever captured on film. Cashman Photo can trace its roots to Florida in the 1950s and early 60s, where twin brothers Morgan and Harris Cashman were making a name for themselves as the go-to photographers for the biggest and most luxurious resort hotels. In 1966, Jay Sarno, founder of Caesars Palace and one of the most influential figures in the history of Las Vegas, convinced the brothers to move out West and become the photography company to document the rise of his modern Rome in the desert. Since then, Cashman Photo has been an integral part of Las Vegas history. The Cashman brothers brought the glitz and glamor of Vegas's restaurants, swimming pools, nightclubs, and casino floors to life through gorgeous color photos. By forging strong bonds with many of the top casinos and resorts in the city, they became the most well-respected company when it came to photographing all the biggest happenings at the most popular Vegas resorts. Much of the early success of Cashman Photo can be attributed to the attitude that the brothers brought to their business. For them, photography is not only about taking the best pictures possible, but doing it in a way that made every single one of their customers feel like they are someone special. From the very beginning, their staff has been trained to treat each and every person with respect, and to do their utmost to make the experience of capturing Las Vegas memories a wonderful one. This dedication to both professionalism and the personal approach, combined with their technical excellence in creating some of the best Las Vegas event photos ever captured, catapulted the Cashman brothers to fame. In the 1980s, they were able to expand to Atlantic City, and when Morgan's wife Karen joined the team in 1987, the company entered their true golden age. 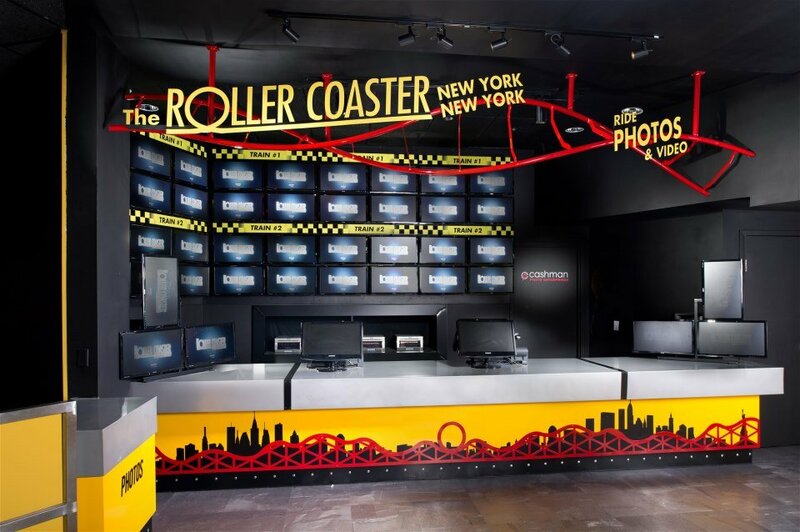 With dozens of retail outlets in Las Vegas, as well as exclusive rights to photograph and record unforgettable event at many of the top resorts in the city, Cashman Photo remains the company that both the Las Vegas tourist and the Vegas pro trust to keep their memories alive. From individuals immortalizing weddings to large companies documenting their biggest events, Cashman Photo has been there. These days, Cashman goes far beyond just taking photos, they also provide a full range of 3-D imaging and videography services to fully capture both intimate private and thrilling public events. They are one of the first companies to truly understand digital photography and social media, revolutionizing how people access and share their special memories online. At the end of the day, the success of Cashman Photo doesn't lie in their ability to take really fantastic photos or videos, but in the relationships they have built with both the Las Vegas tourist and Vegas businesses over the years. 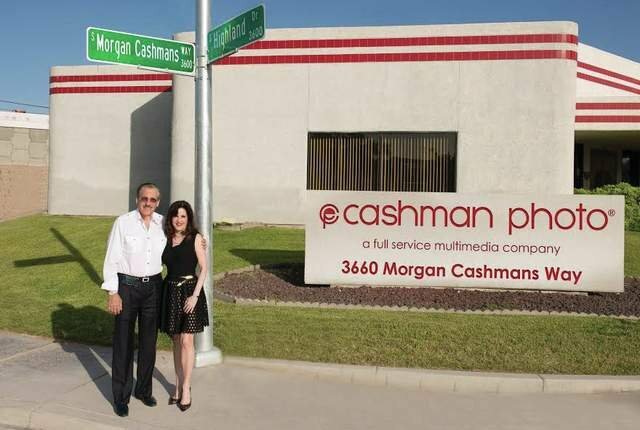 And all that comes from the commitment and drive for excellence that the Cashman family, Harris, Morgan, and Karen have brought to the business over the years. Praise for the business and the family has not been limited to their customers, either. The city of Las Vegas itself has recognized the contributions the Cashmans have made to the city of the years. In 1993, the city declared 'Harris and Morgan Cashman Day', while Morgan's wife Karen finally got her day in 2011. The company's headquarters can even be found on Morgan Cashmans Way, a little ways off the Las Vegas Strip. And still today, nearly half a century after the company got their first Vegas concession, Morgan Cashman still runs the business, making sure to uphold the values that made the company the largest private multimedia company in Las Vegas.